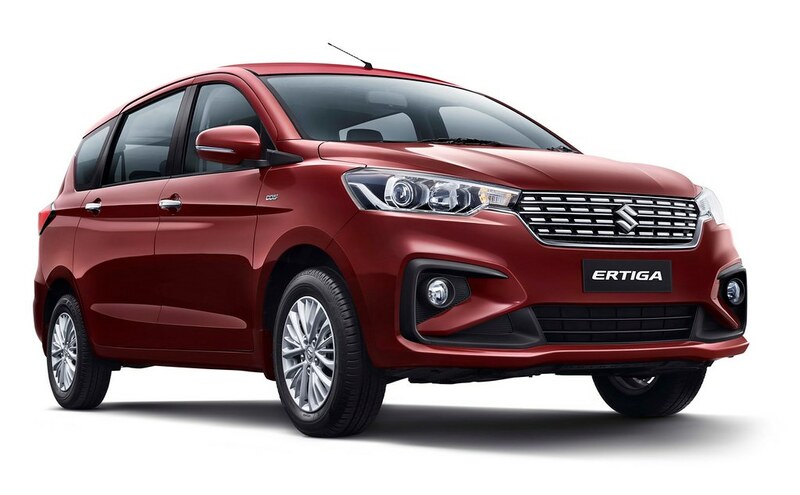 Maruti Suzuki has launched the much-anticipated next-gen Ertiga in India with prices starting at Rs 7.44 lakhs for the entry level Petrol Lxi trim. This is the second-gen for the best selling MPV from Maruti Suzuki the Ertiga. Incidently Maruti- Suzuki has introduced the 2018 Ertiga across 10 trims to choose from – LXi, VXi/VXi AT, ZXi/ZXi AT and ZXi+ for the petrol and LDi, VDi, ZDi and ZDi+ for the diesel. The 2018 Ertiga also comes in two new paint options – Pearl Metallic and Auburn Red on the lineup. The 2018 Ertiga is built on the Heartect platform that it now proudly shares with the Baleno, Dzire and Swift sibling models. 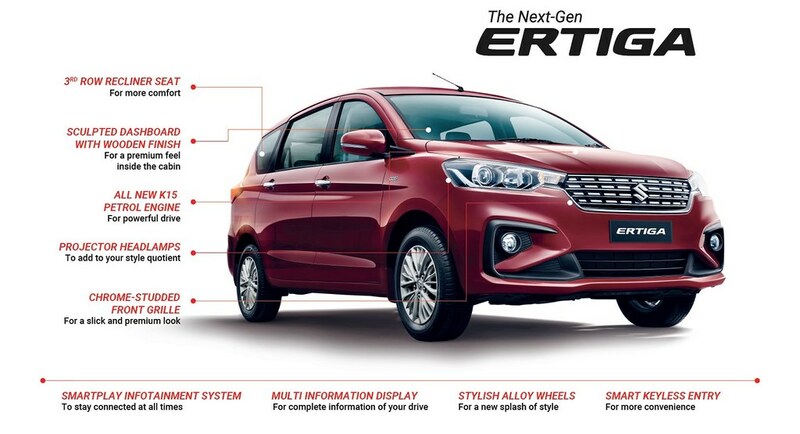 The 2018 Ertiga has now grown in praportions and now measures 4395x1735x1690mm. 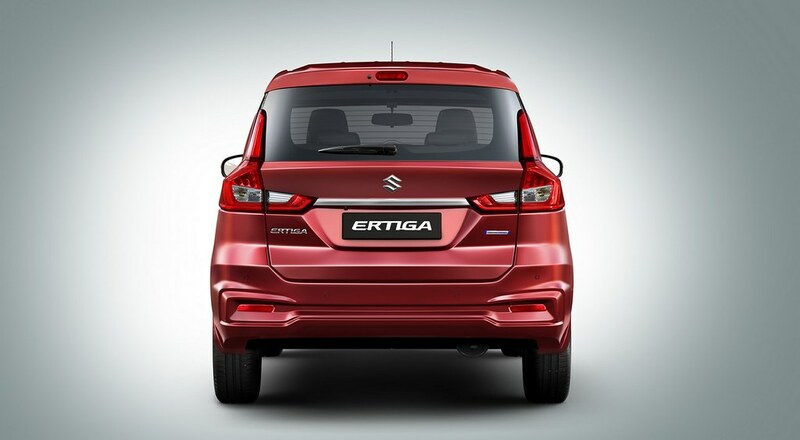 The Ertiga has also lost some weight and now stands lighter as compared to the out going model maintaining its wheelbase. 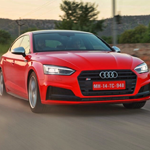 The all new design Alloy wheels are of 15-inch mounted on 185/65 section tyres. As per Maruti Suzuki the 2018 Ertiga has a lot improved NVH levels overall and also got a lot more rigid on its overall body construction. The 2018 Ertiga looks a lot more premium and trendier in this new avatar. 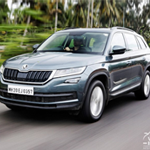 The vehicle now comes with sleek looking projector headlights with LED day time running lights on them, all new grill The bumpers too get an all new styling and now look sharper with black styling around the fog lamps. The silhouette gets a floating roof design similar to the Swift. The rear section now gets an all new styled L-design tail lights that extend till the D-Pillar, the boot lid also now gets a all new design and styling. The cabin now feels more premium like the outside styling. 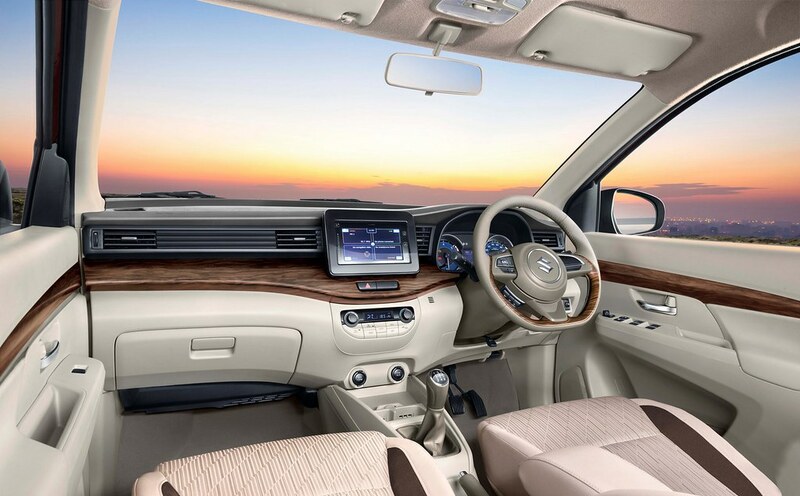 The interiors look and feel well appointed now with the inclusion of the 6.8-inch infotainment touch screen similar to the Swift and the Baleno. Premium and sporty touches inside the cabin includes dual tone dash, flat bottom steering, twin-pod instrument cluster to name a few. powering the 2018 Ertiga is the all-new K15 petrol engine that was first seen on the 2018 Ciaz. This engine makes 103bhp of power and 138Nm of torque. For Diesel lovers the Ertiga comes with the tried and tested 1.3-litre DDiS 200 engine that makes 90bhp and 200Nm. 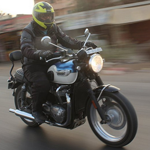 Transmission options include six-speed manual, with an option of four-speed automatic only on the petrol. Maruti Suzuki has also included its mild Hybrid the SHVS technology on both the Petrol and Diesel Ertigas. 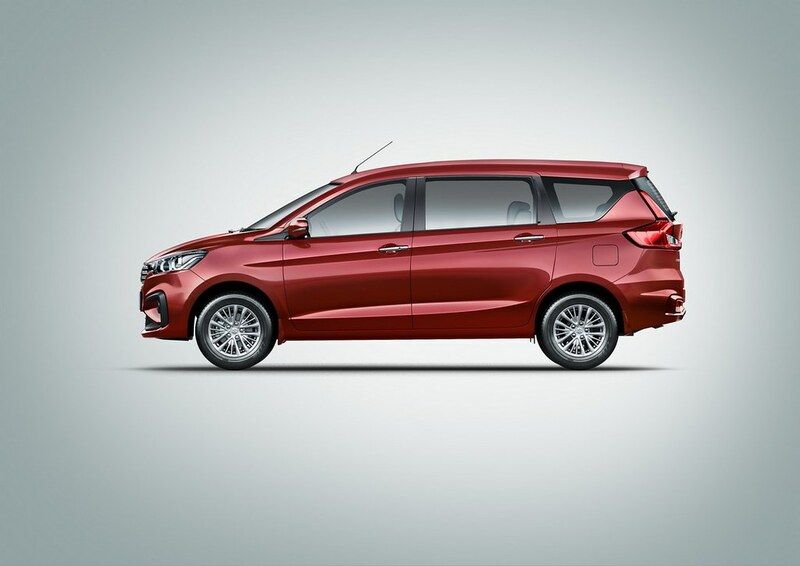 The new Ertiga competes with the likes of the Honda BR-V, Renault Lodgy, Mahindra TUV300 Plus and the newly launched Mahindra Marazzo in its segment. Watch this space for our detailed roadtest review of the 2018 Maruti Suzuki Ertiga in a couple of days.